You are here: Home / Aidans Corner / EURUSD : Will Pair Break Lower? EURUSD : Bearish market patterns can be seen on the Daily chart. In the chart below there are bearish patterns that have already triggered SELLS. The blue bearish pattern triggered SELLS at the BC 0.50% Fib. retracement level and the orange bearish AB=CD pattern also triggered SELLS near the BC 0.50% Fib. retracement level. Previous support/resistance price action in the past also contributed to the recent move lower from the January 10/2019 high. EURUSD can still make another rally higher above the January 10/2019 highs but because price is near the bottom trend line of the black bearish flag/channel breakout pattern traders will now need to watch if the pair decides to continue and break lower. Traders should wait and watch if the pair makes another small push higher then followed by a break lower below January 22/2019 lows where the black flag/channel pattern breakout triggers SELLS (Green SELL Entry). If looking to trade EURUSD stops should be placed at the January 10/2019 high and traders should be patient and wait for price to first break below January 22/2019 lows (Green SELL Entry). Waiting to SELL/SHORT at the green SELL breakout level will offer a better momentum trade lower and will confirm the January 10/2019 high will hold. A break below the November 28/2018 low (pink trend line) will confirm bears are in full control and the pair will extend lower looking to hit Target 1 minimum. Only time will tell what EURUSD will do but at least now you are aware of what to expect if the pair breaks lower. 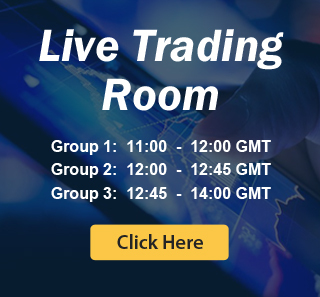 At Elliottwave-Forecast we cover 78 instruments (Forex, Commodities, Indices, Stocks and ETFs) in 4 different timeframes and we offer 5 Live Session Webinars everyday. We do Daily Technical Videos, Elliott Wave Trade Setup Videos and we have a 24 Chat Room. Our clients are always in the loop for the next market move.